I have had three projects destroyed, tagged and almost censored. The three projects are below. I will elaborate on each project and each censorship event soon. This was a collaborative mural created as part of a larger project. This mural focused on the young women of the neighborhood. 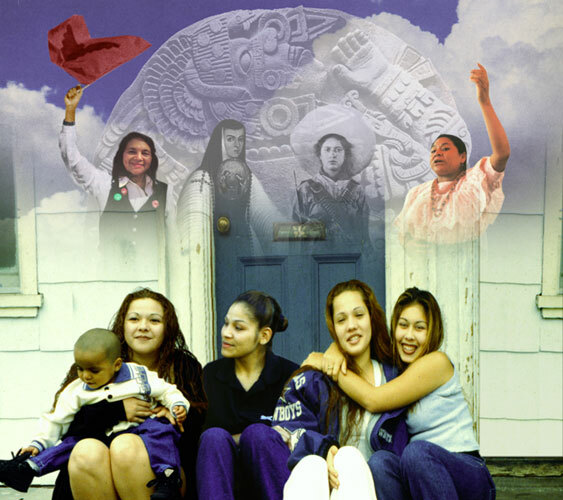 This mural was inspired by a documentary on queer latino youth and their families. 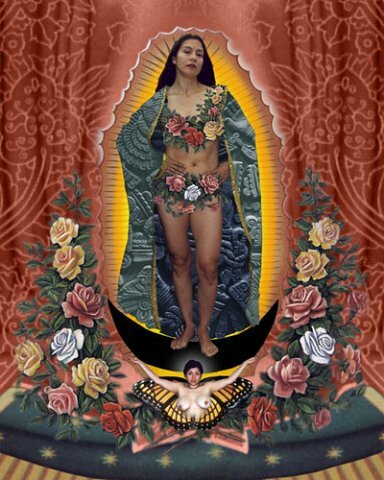 Our Lady digital print controversy began in Santa Fe New Mexico in 2001.